The glove box can be locked and unlocked with a master key (or the mechanical key of the smartkey) (1). 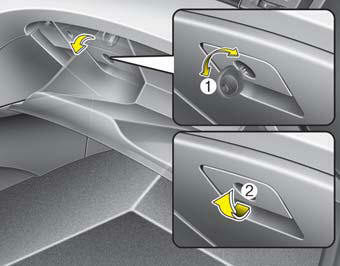 To open the glove box, pull the handle and the glove box will automatically open. Close the glove box after use. To reduce the risk of injury in an accident or sudden stop, always keep the glove box door closed while driving.